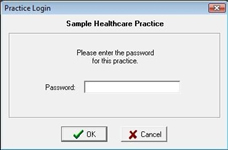 Control who can access your data stored in QuickPractice. A sophisticated method of keeping track of all data related to scheduling. 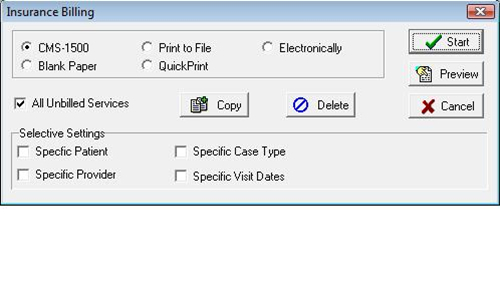 Setting an appointment is as simple as clicking on the date and time. 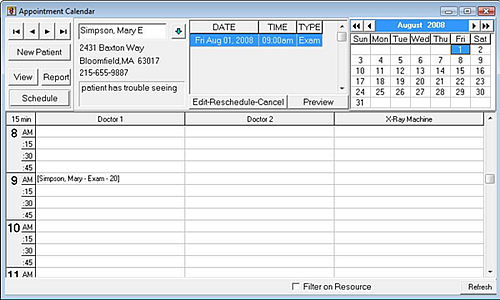 Set as many appointments as you wish for any time slot or interval. 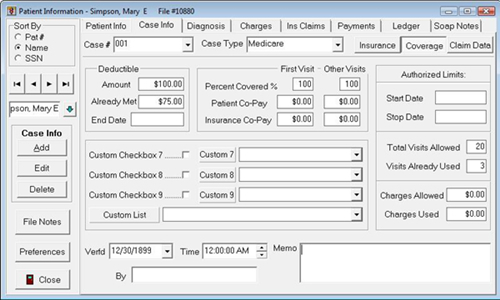 Policy Information, Deductibles, Percent Covered, Patient/Insurance Co-Pay, Start/Stop dates and Allowable Visits are automatically updated. 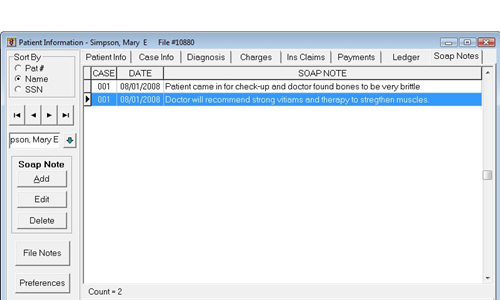 Treat patients for multiple cases at one time, all managed within the same record. 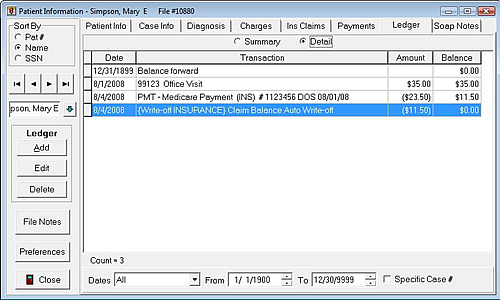 Our True Ledger gives you a chronological representation of Charges vs. Payments. 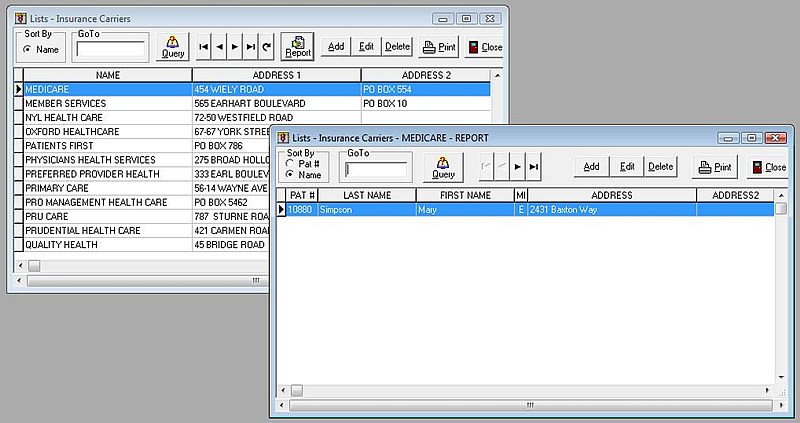 You’ll receive over 17,000 ICD, HCPCS, Place of Service, Type of Service, and Modifiers. 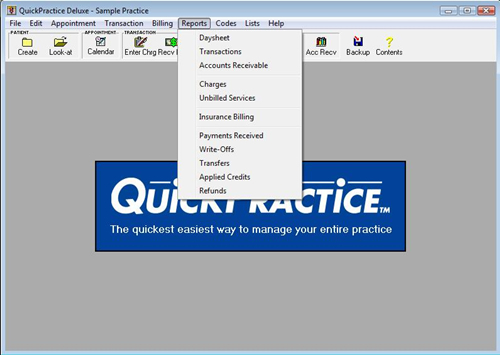 QuickPractice allows you to create your own personal list for your practice. S.O.A.P. 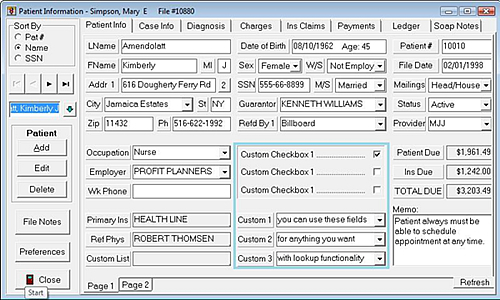 Notes This feature speeds you through writing Subjective-Objective-Assessment-Plan notes. 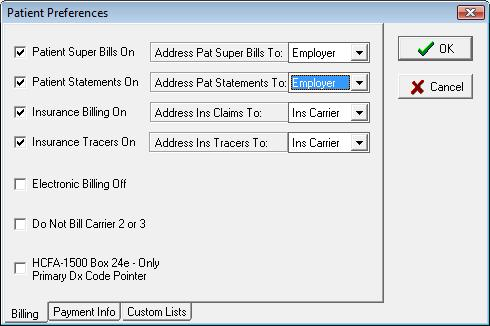 Create multiple sets of master notes to rapidly produce complete individual observations (in your own words) without cumbersome, inconvenient bar codes or often-inappropriate ‘canned’ notes. 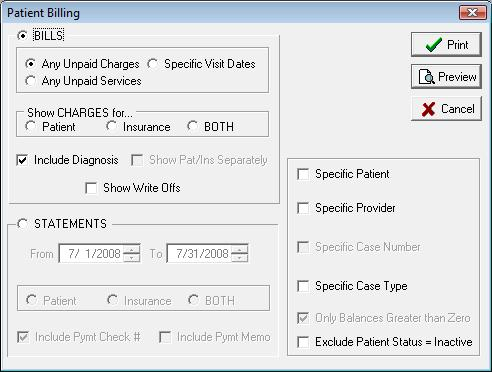 Enhanced functions to give you more control over your patient billing, such as specific provider, specific patient and specific case type. 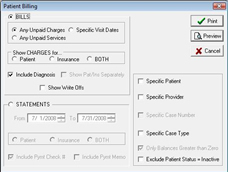 Control who should receive patient bills and statements if the patient is not the one responsible. 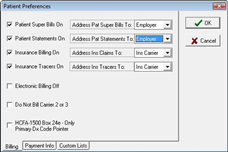 Enhanced functions to give you more control over your insurance billing, such as specific case type, specific provider, specific visit date. 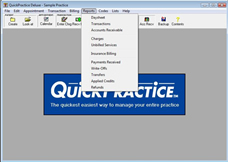 Gain more control over your financial destiny with quick and easy Charge, Billing and Payment Reports. 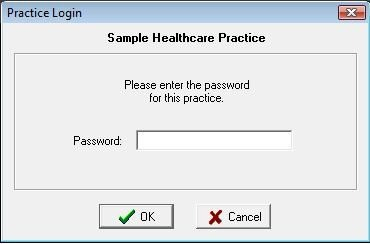 All Codes, Lists and Providers have a ‘Query’ and ‘Report’ function to see all patients using that item (i.e., see all Medicare-only patients).